Musculoskeletal Ultrasound of SE Wisconsin brings to you a wealth of experience. 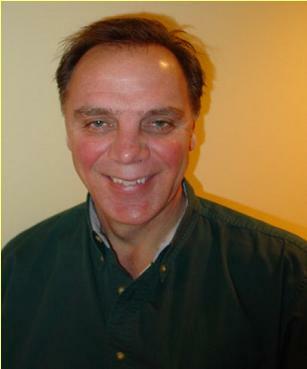 Patrick Meyers has over 33 years experience in the medical field and 27 years in ultrasound. 27 years registered with the American Registry of Diagnostic Medical Sonography (ARDMS) in Abdominal, Vascular, OB/GYN Adult Cardiac and Small Parts. 8 years experience in musculoskeletal ultrasound, practicing, teaching and lecturing on a variety of applications and hands-on sessions. Henry Ford Hospital Musculoskeletal Division - trained with world leaders in Musculoskeletal Ultrasound. Developing protocols for training professional and technical staff. Faculty - Andrews Institute - Ultrasound Musculoskeletal Course February 6-7, 2009. Guest Faculty - University of Seattle Educator's Summit, August 2008 - "Update - Status of Musculoskeletal Ultrasound"
Society of Diagnostic Medical Sonography (SDMS) Guest Faculty, 2009 National Symposium, Nashville, TN. "Musculoskeletal Ultrasound - Present and Future", "Tissue Signature in Musculoskeletal Ultrasound", "Ultrasound of the Shoulder"
Guest Faculty - GE Healthcare Institute February 18th, 2009, "Sonography of the Shoulder"